Recently I noticed my laptop running slowly. Processor utilization was nil so I fired up Task Manager to see what the memory usage was. 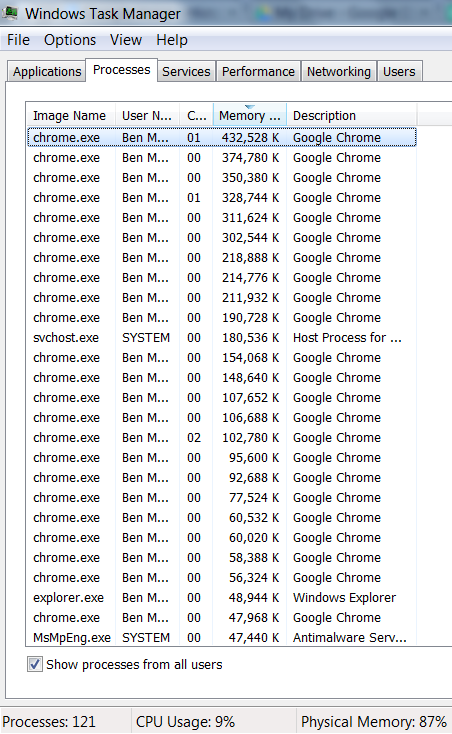 Chrome was using over 4GB of RAM just from the processes on the first screen. 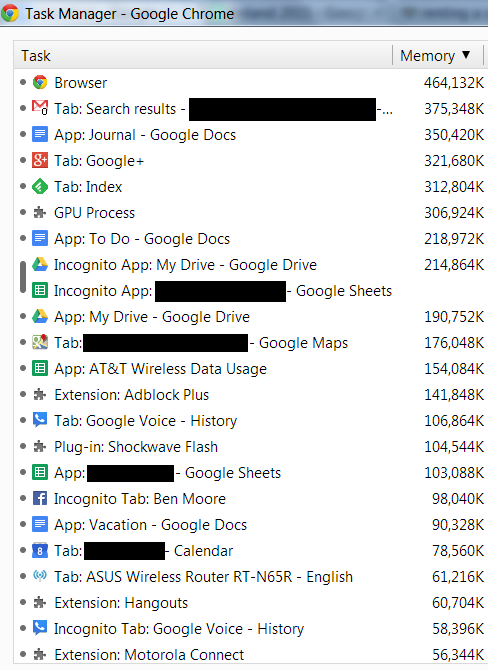 Here's what Chrome's Task manager showed. I was running Chrome 38.0.2125.111 m (64-bit). I'm running Windows 7 64-bit. I think it is a memory leak in Chrome.